Through a partnership with Empowerdex , FNB Business will be processing applications for Black Economic Empowerment (BEE) certificates through the Bank’s online banking channel. Sanjeev Orie, CEO of Value-Adds at FNB Business , described the online application process as “ quick, easy and requires that the applicant has all the necessary documentation”. 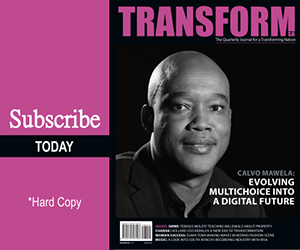 Kindly call Edge Verifications Inc. on 011- 403 3091 or purchase a copy of Transform SA journal at CNA or Exclusive Books there is a list of verification agencies that we publish every quarter. Hi Solomon, Transform SA is not a verification agency but we have a list of verification agencies. Please email us your contact details to email address info@transformsa.co.za so that we can link you with a verification agency. Can I go to any fnb branch to apply for bee certificate and how much it will cost and how long it will take?